Light is the energy source for photosynthesis in plants which in turn produces energy in the form of carbohydrates for the plant. At the propagation phase a small amount of light is required to drive energy into initiating and developing roots. If light intensity is too high, it can have an adverse effect on root development. 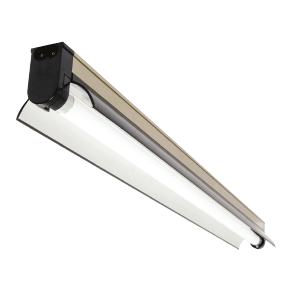 T5’s are an ideal lamp to provide this gentle light. Prevent leggy plantlets by stopping the young plant stretching for light. Giving the correct amount of light will help with vegetative growth, short internode spaces and grow even cuttings. 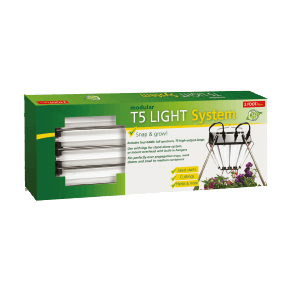 This will produce strong sturdy plantlets that will support themselves once transplanted. 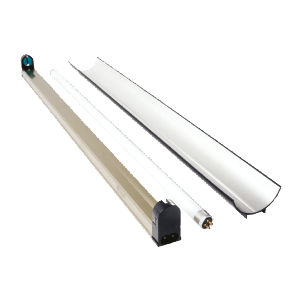 The ROOT!T T5 is no ordinary fluorescent light. 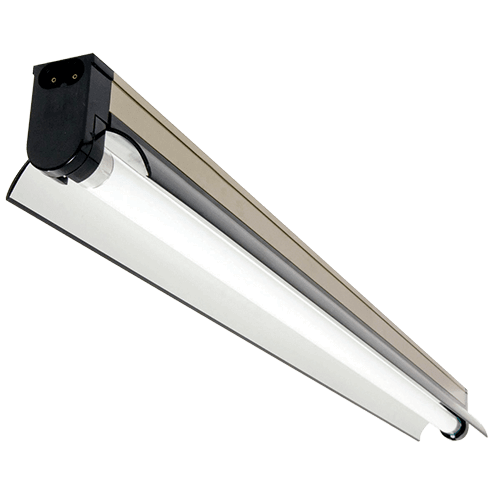 It produces a high quality strong spectrum of light without any intense heat – 6400K daylight spectrum. 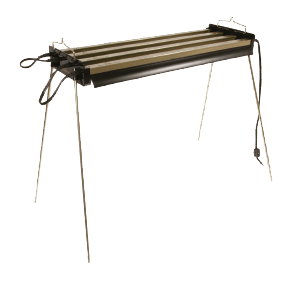 This means that it is more efficient than traditional lamps and can be placed closer to the germinating plants. 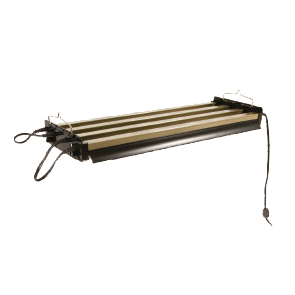 It is convenient, quiet running, light weight, easy to assemble and adapt with the ROOT!T T5 Light Dock or ROOT!T Link Cord. 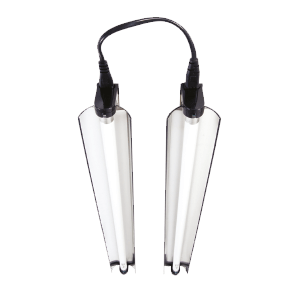 These reflectors can be installed vertically or horizontally to suit grower requirements. Some types of seed such as Begonia, Impatiens, Lettuce & Petunia have a requirement for light to assist germination (sow on top of compost). Other seeds such as peas, beans calendula prefer to germinate in the dark. Some do not mind either way – check your seed packets for tips!